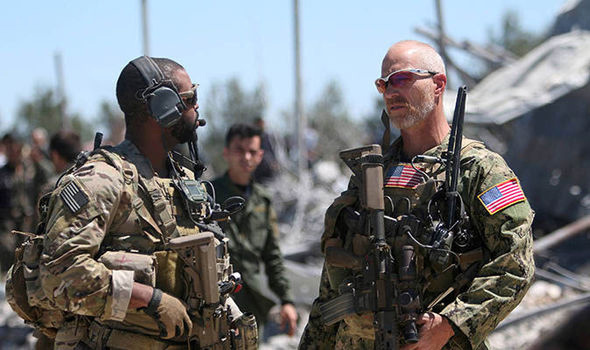 US Special Forces has been exposed for helping Syrian rebels plot a false flag attack to trigger strikes from the West in Syria. Russia's Defense Ministry says it has "credible intelligence" that proves the United States is helping the Free Syria Army (FSA) to orchestrate a "chemical attack provocation" against Syrian civilians. Russian Intelligence claims to have irrefutable evidence that FSA is plotting a "false flag" attack using chlorine to provoke Western airstrikes on Syrian's government forces. RT reports: The military alleged the FSA militants are likely to employ chlorine to orchestrate the chemical incident. 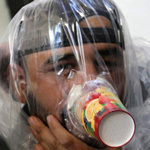 “To imitate yet another ‘chemical attack by the regime against peaceful civilians’, the rebels brought canisters filled with chlorine,” it said. 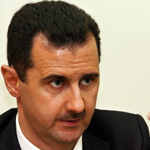 The set-up could then be distributed in Western media and serve as a pretext for renewed coalition airstrikes against Syrian government’s targets. 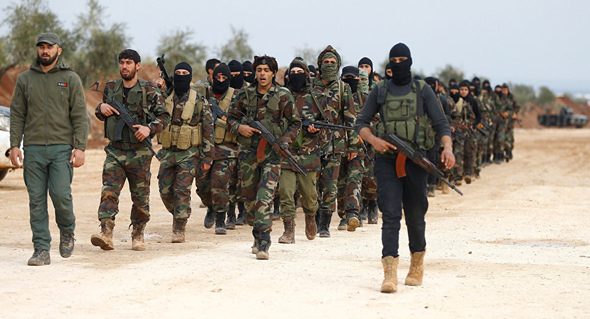 The planned “provocation,” the Russian military said, is also to justify an FSA offensive against Syrian troops on the eastern bank of the Euphrates River. 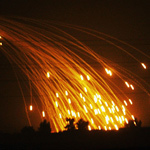 The Defense Ministry earlier warned of such plans involving chemical weapons. On the latest occasion in March, Russian Reconciliation Center received a tip-off from a local resident who said possible preparations for a “provocation” with the use of chemical agents were underway in Eastern Ghouta. 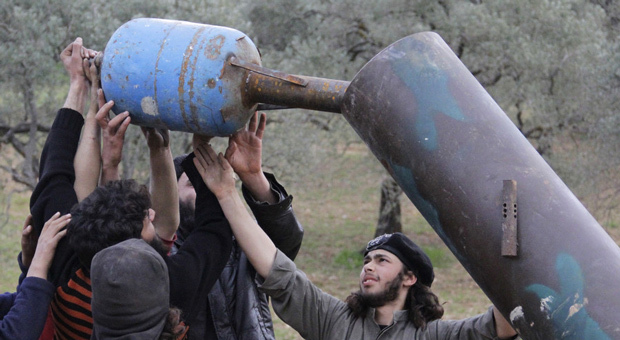 According to the intelligence, Tahrir al-Sham (formerly Jabhat al-Nusra) group have placed “hermetically sealed containers,” which could contain poisonous substances, next to a self-engineered turbine on one of the roofs in the Damascus suburb. The world’s third-largest news agency AFP and British tabloid the Independent also visited the site and ran stories casting doubt on whether the chemical attack had taken place. Eventually, a boy from the Douma “attack” video, who was initially believed to be a victim, as well as medical staff at the hospital testified at a Russia-backed conference at The Hague. Moscow has consistently raised concerns about possible provocations using chemical agents in Syria. Russia believes that such attacks will be widely-covered in the Western media and may ultimately be used to provoke the US-led coalition to launch strikes against Syrian government forces.